The fifth in Micromeritics' ongoing series of live webinars highlighting applications, theory, and instrumentation showcases an examination of the Dynamic Vapor Sorption materials characterization technique. This informative webinar will be broadcast at both 9:00 AM and 11:00 AM EST on Friday, November 19. 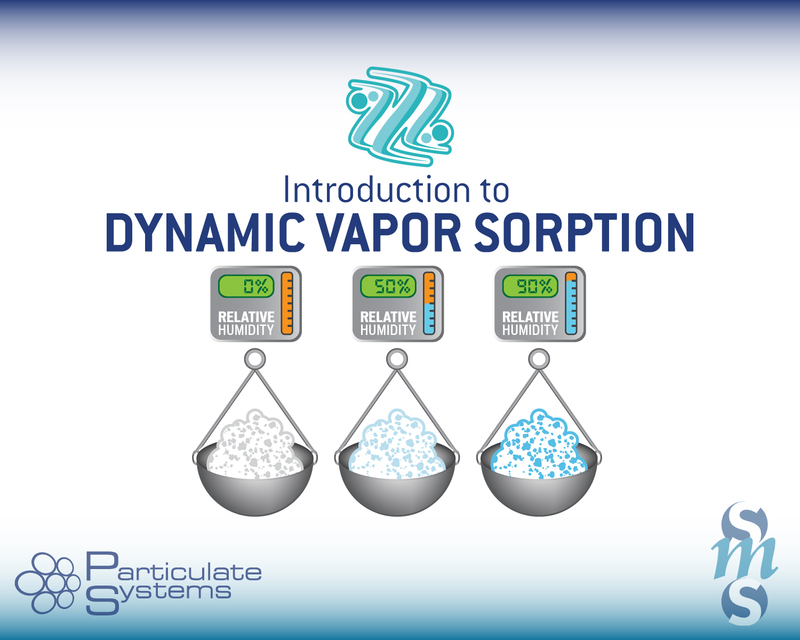 Dynamic vapor sorption, commonly known as DVS, is based on the gravimetric determination of vapor interactions. By varying the vapor concentration surrounding a sample and measuring the change in mass it produces, the speed and quantity of solvent absorbed by a sample can be measured. The majority of DVS experiments are done with water vapor to measure the effects of different relative humidity conditions. Humidity can adversely affect a range of materials from food to pharmaceuticals to hair to building materials. Knowing how water vapor interacts with these materials can yield vital information for the proper formulation, processing, and storage of these materials. In this live webinar, the Dynamic Vapor Sorption technique is defined, real-world examples of the usage and advantages of this technique are discussed, and Particulate Systems/Surface Measurement Systems unique instrumentation solutions are described.